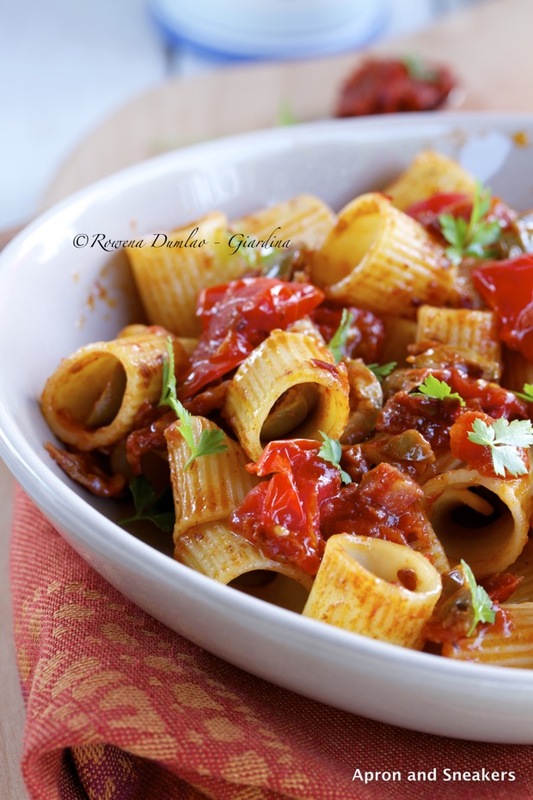 If you can stand heat in your food, then I have to tell you, this pasta dish is oozing with goodness! I am not a big fan of spicy food but when it's good, I eat it because the the spiciness is a part of the overall goodness of what I am eating. First, let me introduce you to 'nduja, the culprit that spread its heat in this dish. 'Nduja. It's a strange name with an even stranger way to pronounce it. (n-du-ya). Truth be told, it took me some time before I can actually remember the name properly and how to say it. I used to refer it as the Calabrian spicy thing, which everyone usually understands because it is known all over Italy. 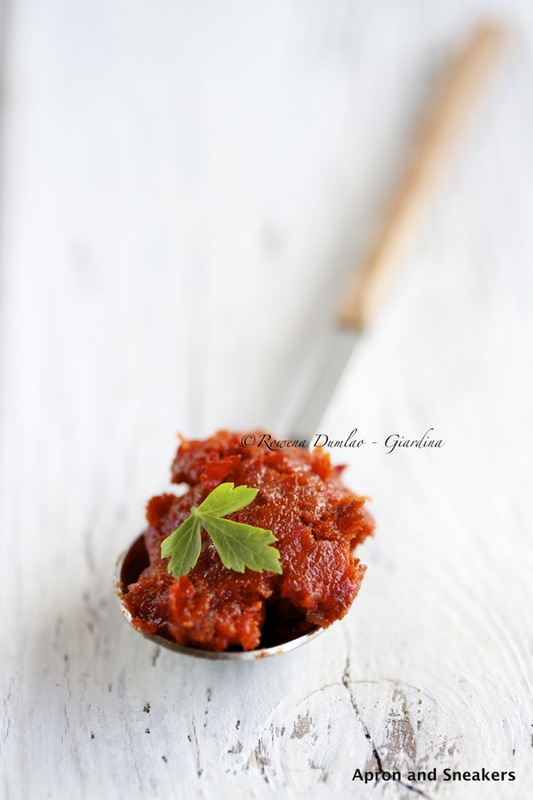 Calabria is a region in the south of Italy and 'nduja is one of their known (and very good!) products. What is it? It's a soft spicy pork sausage that's spreadable. You can buy it in jars and spread it on bread, eat it with cheese or cook with it like with this pasta. It's fiery. Period. But you will forget the heat once you taste it and it can be addictive. I like this pasta because of the dominance of salami which I absolutely love in the pasta. 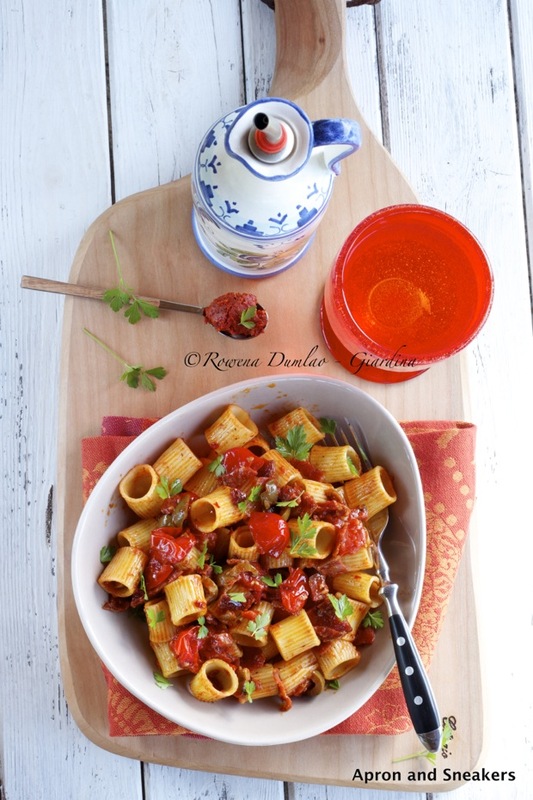 With the addition of 'nduja, it gained a spot in my recipes to keep (for those moments of spicy food cravings). 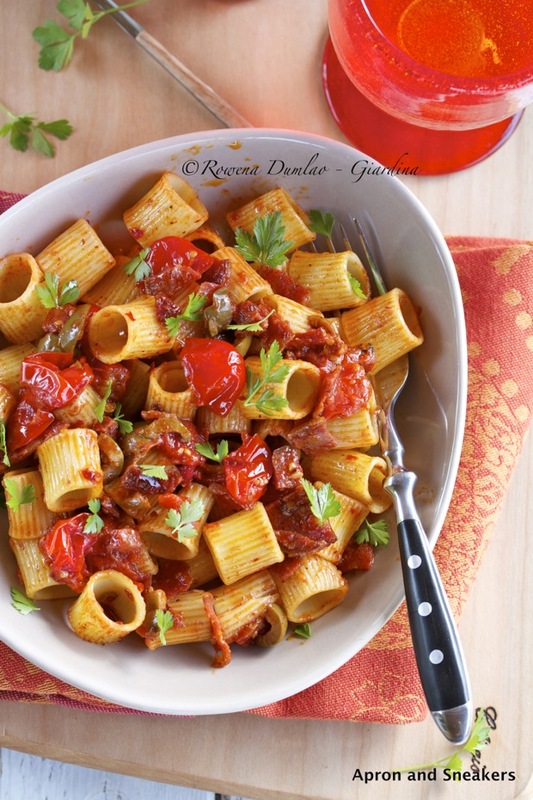 Mixed with fresh datterini tomatoes (or cherry tomatoes) and olives, you can never go wrong with this pasta. The recipe for this pasta can be accessed at She Knows, where I also create recipes aside from my blog. Click on this link to take you there. To see the list of food & travel articles I have written there, click on this link too. Thanks!